We have limited spaces available for our exclusive Medi-Facial training courses headed by our Director Bianca Estelle and renowned facialist Sarah Cordier. Bianca Estelle is a Harley Street trained Skin Specialist and alumna of the University of the Arts, London. Throughout her fourteen year career, she has achieved advanced level accreditations in numerous cutting-edge skin care procedures and has represented several medical aesthetics brands across the UK and Europe. After establishing an international network of clinics, she applied her scientific training to the development of her cosmeceutical product line, bea Skin Care, which has been featured in InStyle UK, Vogue, Tatler, The Daily Mail and Glamour. Endorsed by high profile media personalities including socialite Lady Victoria Hervey and model Vogue Williams, Bianca Estelle’s global client base attests to her knowledge, technical skill and experience in the demanding and competitive field of medical aesthetics. She presides as Clinical Director over her medical aesthetics and IV therapy clinics, bea Skin Clinic and Vitamin Injections London, remaining focused on providing an ever-expanding range of oroducts formulated to radically improve skin health from the inside out. Sarah Cordier is a renowned celebrity aesthetician and trainer. Throughout her sixteen year career, she has performed VIP treatments for numerous celebrity clients and has been responsible for developing training manuals and courses for reknowned skin care brands, including those under the Space NK umbrella. She also applies her passion for beauty and skin care to event management, organising international press events on behalf of Harrods, Selfridges, Liberty and John Lewis as well as several five star hotels. She has made regular appearances on QVC UK representing Eve Lom and also represented Kat Burki at the Cosmetic Executive Women (CEW) demonstration. With her strong track record of success in the beauty industry, Sarah Cordier’s qualified therapy sessions and comprehensive training courses are highly sought. She has been profiled in Vogue, Tatler, OK, Elle and The Daily Mail, whilst continuing to work with international beauty companies and on her own business with great success. 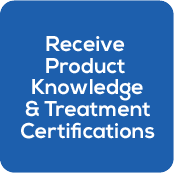 We are proud to offer our exclusive bea Skin Care Foundation Training Course for the first time. 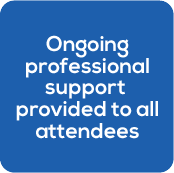 To book, please call +44 (0) 203 322 1425 or email info@bea-skincare.com. bea Skin Care Founder Bianca Estelle and celebrity facialist Sarah Cordier have collaborated to create a bespoke medi-facial training course for beauty therapists, which will be offered for the first time to a small, select group of trainees. 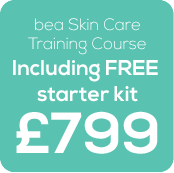 Our £799 medi-facial course price includes Bianca Estelle and Sarah Cordier’s signature six hour training course, a free product starter kit from bea Skin Care and two certificates for you to take home with you. bea Skin Care medi-facials use biologically active ingredients specially formulated to target each and every layer of the skin. These are high performance, luxury treatments that are performed in the comfort of clients’ own homes and generate visible improvements in a wide range of skin care concerns, ranging from acne to positive ageing. Retailing and sales training, followed by a written test. Enhance your skillset, impress your clients and generate more sales!